This expansive well laid out 2 bathroom, 2 bathroom home is located on the 23rd floor of the iconic Essex House across the street from Central Park. The home boasts extraordinary sweeping direct park views and a park-facing terrace! 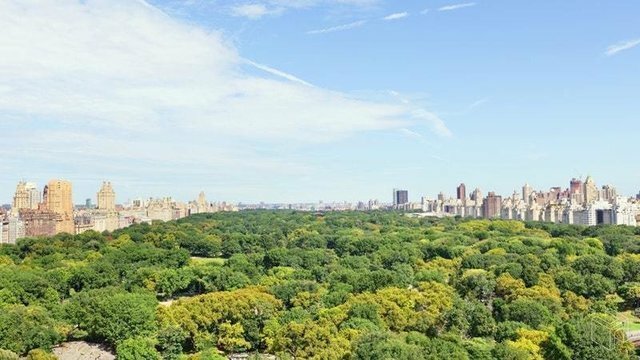 Two bedrooms, two bathrooms with classic details throughout, residence 2303 - 2305 is a spacious unit that features jaw-dropping views of Central Park and includes a well thought out layout ideal for entertaining. Enter through the majestic foyer you'll find a master suite and kitchen to the left and a grand living room and second bedroom to the right. The expansive living and dining room and second bedroom overlook the park with stunning views of Manhattan. The home features a terrace offering extraordinary views of the entire park. Both bedrooms include en-suite bathrooms with timeless details. Essex House has been recently renovated and includes 5 star hotel style living with a fitness center, 24 hour dining, valet, spa, business center, and award-winning restaurant. Housekeeping is available upon request. Centrally located across from the park and the best shops, restaurants, and stores Manhattan has to offer, this rental cannot be missed!